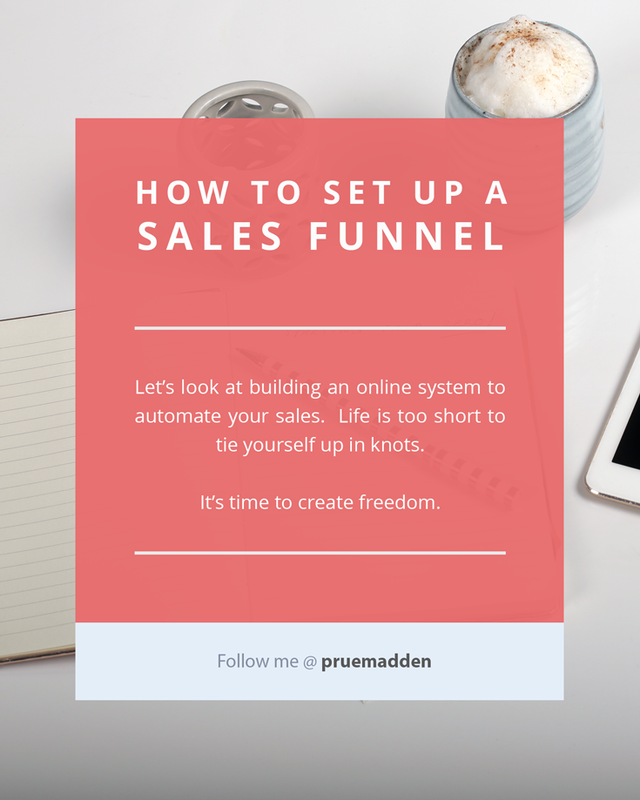 In this three part series, we’re learning about building an online system to automate your sales. In the first part of this 4 part series, we explored the reason for the early failure of many online businesses and we discovered the solution – the humble sales funnel. In the second post of the series, we will learnt about sales funnel design. In this, part 3 of the series, we explore setting up a sales funnel, and in part 4 we will uncover how to attract affiliate marketers to drive traffic to you sales machine. As covered in my earlier blog posts, your your front-end products aren’t supposed to be your cash cows. The purpose of front-end is to acquire the most new customers possible at break-even (or better). I once worked with a marketer who put together spreadsheet after spreadsheet of selling his front-end product for $9.99. He projected how that $9.99 was going to keep expanding and make him a millionaire… in 384 years. The back-end that will sustain you long-term. You will potentially be charging thousands for those back-end products (depending on your niche), and hyper-enthused customer base knows that you deliver on what your market: high-quality life-changing materials. As long as you are attracting traffic and delivering high value (or high perceived value) products or services on the front end, and every transaction results in customers who are excited to continue doing business with you, you will have a highly sustainable, automated business. Here is what you have to understand about your product. You can have the best, most amazing lead magnet out there. It can have all the bells and whistles. It can look great. It can honestly BE great. If there isn’t a market for it, you aren’t going to be successful. If you have the answer to those five things, then you’re well on your way to crafting a product which will drive targeted traffic into your sales funnel. Before we get ahead of ourselves, if you haven’t figured out your niche yet, then you have to start there. Stop any other planning and first decide on your niche. This has to be your number one priority from this moment on. You have to think about what YOU specifically can do. What do YOU have to offer? What do YOU know better than most around you? What do YOU have that is better than other options out there? If you have already decided on your niche but are struggling with deciding on a lead magnet, and your products for the back-end of your funnel then I have a great little exercise that will help bring your clarity. If you already have a product but aren’t sure if it will sell, then it is a great time to test it out in your market. It’s important to test your products before jumping in boot-an-all to creating your high end offers. You’ll want to see if there really is a demand for what you want to market. One idea to use is a survey website. Here, you create a squeeze page that asks qualified and informative questions, rather than an e-book or PDF. This squeeze page is there to gather information on the product that your niche market wants. Of course, until your sales funnel is up and running, it will be difficult to tell what works and what doesn’t. Using the front-end free product or survey is a great way to get clarity on what you should be doing, but it isn’t the be-all-end-all. It will take moving onto the actual battle field to find out what strategies work and what strategies don’t. When you hone in on your product and on your niche, it is time to start working on the sales funnel that works for you and your business. What works for one business is not guaranteed to work for the next. Although there are basic sales funnel principles on which most sales conversion funnels are built, there will be variations that work better for some businesses, as determined by differences in the industry, the product and the customers. Let’s start with the most important thing: your customer. When you are marketing to your audience, you have to stay centered on the customer. Your only goal here is to find out the core pressure points of your customer and create solutions for them. The more effectively you answer their problems, the more likely they will return again and again to your storefront. It also gives you the power to tailor products to their needs. What is so important about staying centered on the customer is two-fold. First, there is the monetary benefit. Your customers will see you as an expert and pay for higher-priced items. This is how you will continue to build your business. More importantly, you will be truly helping people, and this is often more rewarding than the financial return. After you spend some time drilling to the core issues your customers have, you can start planning your strategy to solve their problems. The great news is that there are a plethora of solutions these days—thanks to technology. You can use PDF docs, manuals, how-to’s, webinars, video training, workshops, conferences, and one on one or group coaching. All offer the ability to reach out to your customers and convey your unique value to their situation. One thing to avoid though is limiting yourself. Some marketers limit themselves to just PDF communication and information. Though this can be highly effective, it is only a small part of what is available. Why not use other methods of communicating value so that you open up your audience? Different people prefer different communication methods, so it’s important to offer a variety of communication tools and platforms. Some people love to read. Some people don’t—they prefer video. Others prefer audio. Others prefer to discuss their issues in-person or via coaching session. Why eliminate what works? Be open to different communication media. Of course be aware of your time also—you don’t want to spread yourself so thinly that you’re running all day, every day! Your goal should be to have an abundance of informational and helpful materials and things that don’t require your in-person direction. The easiest and most common method of delivering value is to use media such as e-books, audio, video, reports and other products that can be delivered electronically. What is nice about these is that you create them and then they continue to bring you value over and over again. You never have to go back and rework them. You may introduce new products to supplement them, but each one of them is a stand-alone product that continues to bring returns repeatedly. You put the energy in once, and reap the benefits long-term. You also should remember that as your customers move to your back-end products, they are going to expect more value and more specific information. They also tend to want more personal attention at this point. Of course because you’re offering it at a higher price point, this is a viable option. You can offer workshops, one-on-one coaching sessions, phone coaching, etc. You can even offer your coaching in group sessions for a discount. When creating products is a good idea to keep in mind the value of evergreen products. Evergreen products are ones which are not at risk of becoming obsolete or outdated any time soon. Some example of evergreen lead magnets are: a video series or PDF on “10 ways to stop your dog barking”, or the “The Ultimate Outback Camping Checklist”. An example of something that is not evergreen is “The Step by Step Guide to Setting Up a Facebook Business Page”. The first two examples are evergreen, becasue the tips and tools provided in these guides are not at risk of being outdated any time soon. Things to take campaign will likely include a torch, a swiss army knife, sleeping bags and the like. Likewise, the 10 tips to stop you dog barking will likely still work on dags 10 years from now! Setting up a Facebook Business page, however, is a different kettle of fish. Facebook regularly changes how pages look, the functionality and features of pages, and site terms. it is very likely that the Lead Magnet you produce today will probably be out of date, or at least partly out of date within the next year. To make life easier for your self, creating evergreen lead magnets is definitely something to keep at the forefront of your mind. Another consideration is how to price products. Too often have I seen people get caught up in under-pricing their products or services. They think that high prices will deter anyone from buying and too little will be a sure-fire sell. This is NOT true! To understand what people will pay for it is important to understand perceived value. This is a term that has nothing to do with actual value. Let’s say you have a value-rich PDF and price it at $19.99 with a free video tutorial. Your first instinct may be to think this is “too much”. Who would pay almost 20-dollars for two files?!? Here is where perceived value comes into the picture. You have a list of customers who have a pressing issue. They have something that they need to fix. It is a problem to the point of them actively seeking a solution. Your materials are written in such a way that they believe you have the solution. Or at minimum, you make the problem easier to manage. If you can position your product or service in such a way that they believe you have the solution, then pricing isn’t all that critical. They will see the perceived value of your creation and be willing to pay for it—whether it costs $19.99 or $99.99. Their pressure points are so high that the cost is easily overcome. When pricing your products it’s often valuable to think about how specialized your product is as well as how much potential value the customer will receive or generate as a result of using your product. For example if you are selling an information product which is general and teaches small business owners to implement efficient business systems that same time and money you may price your product at $197. If you specialty information product teaches systems for dentists which result in efficient business systems that same time and money, then your product may be $397. If your product teaches systems for dentists with multiple dental surgeries to operate in a cohesive manner, resulting in more efficient business systems that same time and money then your product may be priced at $597. In the end, in addition to a valuable product, creating high perceived value comes down to great positioning and great marketing. If you can work hard on not only your product, but how you present it and how you package it, you can overcome any barriers to your sales. Though there may be twenty, possibly thirty, or even hundreds of similar products like yours out there, your customers know that you’re is the best. If you’re reading this, likely you are well on your way to entering the online marketing world. When you get your business up and running, you likely are going to be doing the bulk of the work. You’ll be writing your e-books and PDFs. You’ll be organizing your script for audios and videos. You’ll be on camera. You’ll be leading workshops. There may be a small list of things you outsource, but for the most part you’re in the mix on a daily basis and most of the work falls squarely on your shoulders. While building a sales funnel to your tasks is no small feat, what you need to know is that you are more than capable of building an automated sales funnel that works for you, whether you are at work, on holidays, or asleep. Your sales funnel will not happen overnight—regardless of how amazing your products or services are. It takes time. 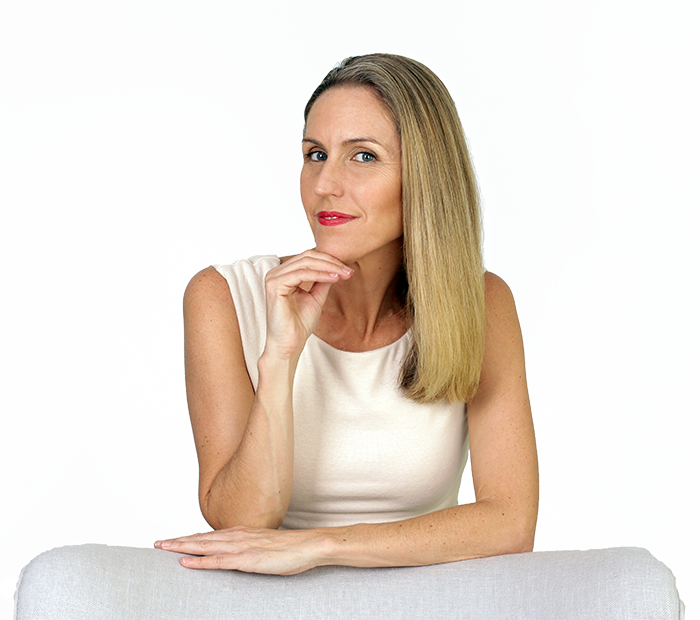 As you embark on your plan, remember too that the first step, after deciding on your niche, is to think about the final product in your sales funnel – your signature or high end product. This will give you a general idea of the direction your sales funnel will take. If you are looking to start an online marketing business then you have to search within yourself to find your passion, your skills, or something that interests you enough to keep you happy and engaged throughout your business journey. For some people, helping others, or making money is fulfillment enough, and for others, they really need to do something they are passionate about to enjoy what they are doing. So ask yourself the right questions, and you will soon find your niche. In what could you be an expert? What do your friends ask you advice about the most? What do you find yourself sharing the most with the world? Whatever that is for you, is the start to your business. Once you find out your passion, or at least something that excites you, find out if you can truly monetize it. Again—a fantastic widget…that no one needs is NOT what you are looking for! Then, once you have decided on this, you’ll want to build your front-end. You’ll need to pick one traffic source to start with, whether that be a blog, a vlog, a website, a Facebook group, Facebook Ads, etc. One of the biggest challenges of your business will be creating and sustaining your audience. You need to establish credibility within the niche of your choice. This is definitely a priority! You want your information to be looked to as expert and highly valuable. Remember that this is how you will start to guide people through your sales funnel. Get your sales funnel started right away! In fact, as soon as you have your message, start gathering those people who eventually will create your “hyper-responsive” customer base. Even if you don’t have your back-end completely sorted out just yet, start promoting your voice. It is never too soon to get your ideas out there and start positioning yourself as an expert. You can work on your back-end while you garner some attention. In fact, this can be a helpful method because you will be testing your market as you build your back-end. They can give you some additional direction and insight into what you really need to build into your product to maximize its value. If you have a blog already, or a social media following, then now is the time to start building your email list. This is where you can create a PDF, a give-a-way or a course in exchange for their email. This also will start to position you as a valuable contact for your market. If you can build value—from the first to most recent email correspondence—then you can push them through your sales funnel. If you already have front end products, then now is the perfect time to move to the next level. Start thinking about your back-end. If you have nothing, then brainstorm on what your customers really want. What is the core issue they deal with? How can you solve it better than anyone else out there? Don’t be afraid to ask your list about what they want! Not only are these your customers, but they are your test market. Most people are happy to discuss their real pressure points and their wish lists. As you build your back-end, be sure to build products together. This is a great way to increase perceived value. For example, if you offer a PDF, add on a free video with purchase. Or, if you offer a video series, add on a free PDF series to supplement. You want to find logical couplings that speak to your customers. You also want each package to personally speak to your customers—this is what will convey your top-notch value. It is a complex process to build a sales funnel. It also can be time consuming. So why do people do it? Because 1) it works and 2) it is profitable! 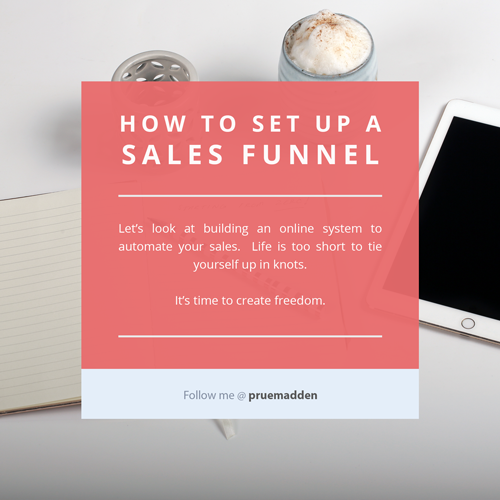 Get organized and start building your own sales funnel. Once you have everything in place, you spend time testing your products and you optimize its effectiveness within your specific market, you are going to be in a great position. In fact, you’ll be in a much better position than most of the market that is still trying to find their way! Please check your email - you need to click subscribe in the email to complete the subscription. Sign up and learn how. pruemadden.com is a participant in the Amazon Services LLC Associates Program, an affiliate advertising program designed to provide a means for sites to earn advertising fees by advertising and linking to amazon.com.